You are invited to submit your abstracts for the 1st PUA- ICAPS, 2015, where professionals from around the world will gather to share the latest developments in their field. Abstracts should be submitted prior to 25th July, 2015. The submitted title of the presentation and list of authors are final, and may not be changed. The submitted abstract will be considered the final abstract form that will be printed in the abstract book. The Authors names should include the First Name, Middle Name initials then Last Name. The presenting author should be underlined. The abstract title must be concise, not longer than 20 words. 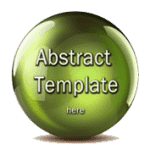 The abstract should not exceed 300 words, not including the title. Title and author’s name(s), should be in bold, Times New Roman, font size 12 pt. Include the complete affiliation address (Italics) for every author and corresponding author’s email. Abstract itself text should be in Times New Roman font size 12 pt, single line spacing. No more than two abstracts for each author should be submitted.